PolicyX.com – An online insurance web aggregator has roped in Legendary Cricketer Virender Sehwag as its brand ambassador. 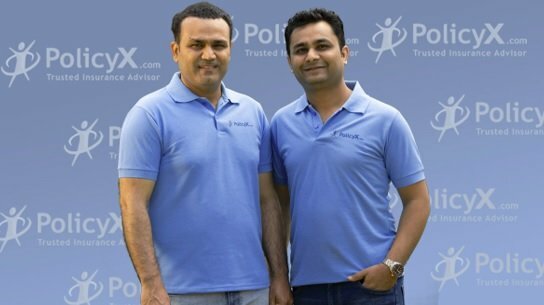 By Signing Virender Sehwag, PolicyX.com has launched its biggest marketing campaign, spread across the insurance products basket of term insurance, health insurance, life insurance, car insurance and others. Claims to be one of the leading & trusted online insurance web aggregators, the company has come out with the face of the organization for the first time. The new ad campaign will be launched in the digital platform at the onset; however, gradually encompassing outdoor and print for publicity. Sehwag has personally worked on this campaign as he wants people to get aware of the importance of having insurance in today’s era from a trusted advisor. After seeing Virender Sehwag in Babysitting campaign ahead of Australia’s Tour of India, which is really eye-catching, this is something new where he is involved. According to the sources, Sehwag too believes that this association is more than a campaign. It carries his emotions towards a safe and secure India. By joining hands with PolicyX.com, he just wants to make sure that each and every citizen of India is sufficiently insured. The Arjuna & Padmashree Awardee, ‘Virender Sehwag’ carries a wide fan base, and this marketing campaign with PolicyX.com will surely bring a positive response. PolicyX.com is an IRDA approved online comparison portal which helps consumers to compare, choose and buy policies online. It claims to be the most trusted online insurance advisor. The team of PolicyX.com believes in being simple & honest and offers trustworthy services. The company uses complex algorithms to find plans that fit customer requirements and provides live quotes, dynamic cash flow charts (first in the segment), videos and info-graphics within seconds, thereby helping them make an informed choice. All of this is supported by a team of trusted advisors that help customers make the right choice.